Photos from around the Kathmandu Valley: Bhaktapur, Patan and Bandipur. 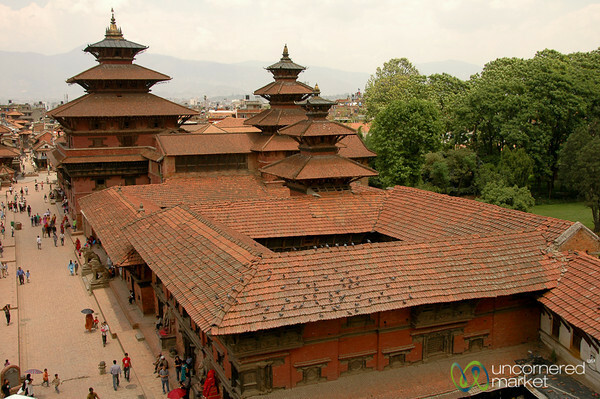 Read more about travel in Nepal. 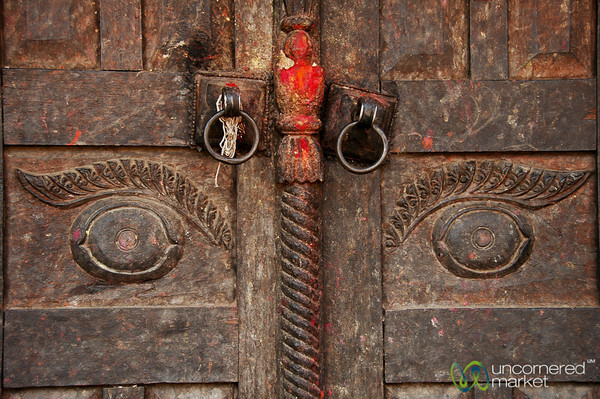 A beautifully carved doorway in Bakhtapur, Nepal. 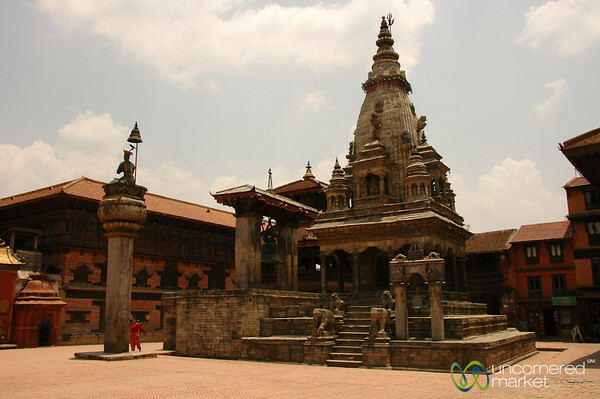 Taken in Durbar Square in Bhaktapur, Nepal. 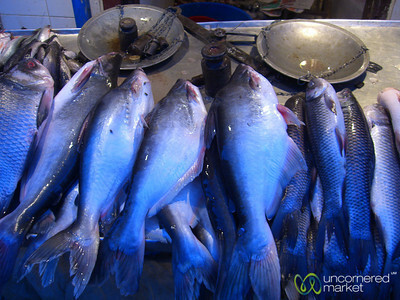 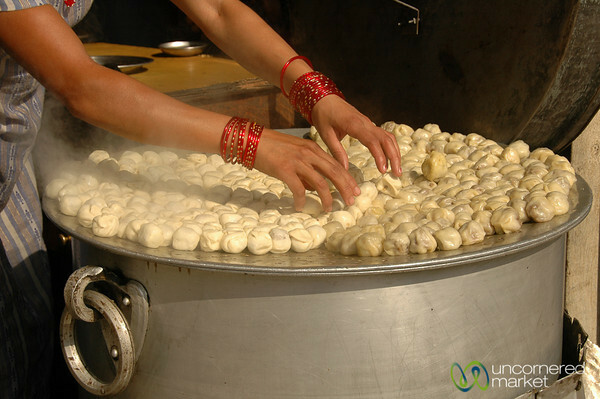 Bakhtapur is famous for its yogurt, known as JuJu Dhau. 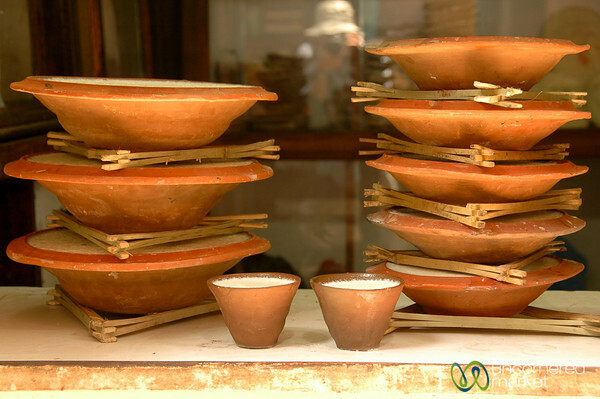 Here you see it in ceramic bowls. 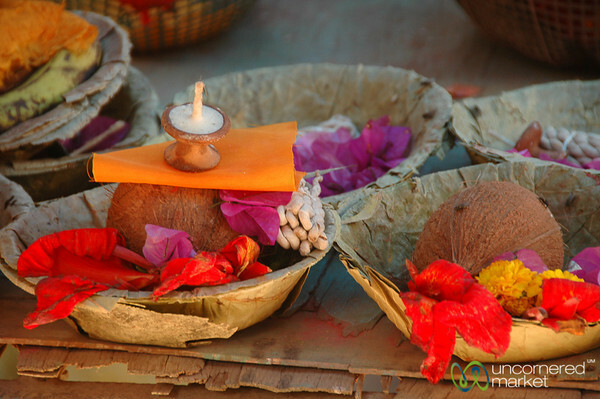 Notice the triangular wood sticks to help with stacking. 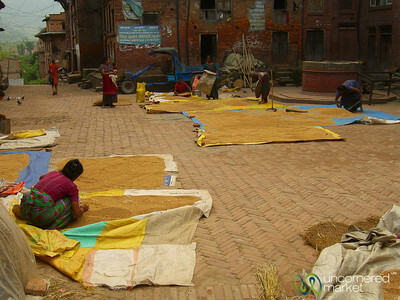 People sort and dry grain on tarps and plastic carpets throughout the streets of Bhaktapur, Nepal. 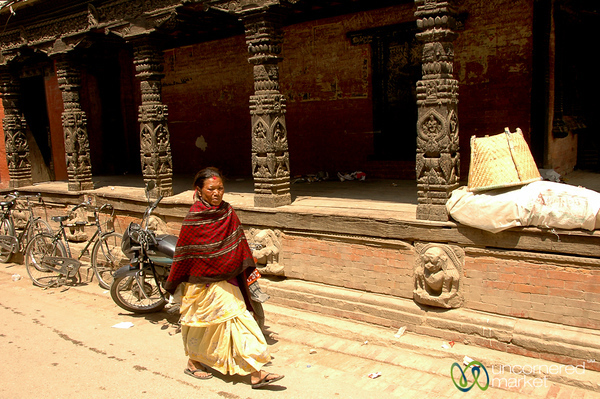 A selection of simiple offerings to buy at the entrance to the Hindu temple in Patan, Nepal. 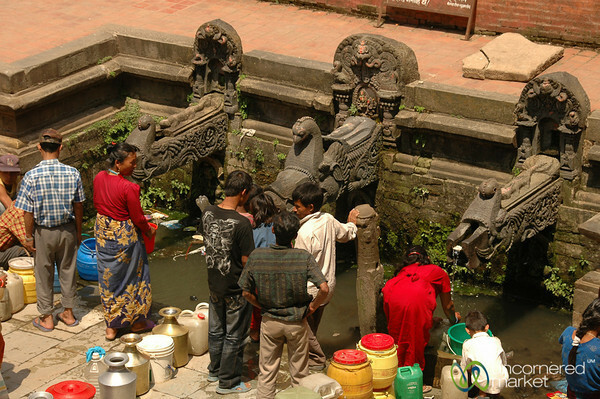 People gather around the water spigots to fill containers with drinking water. 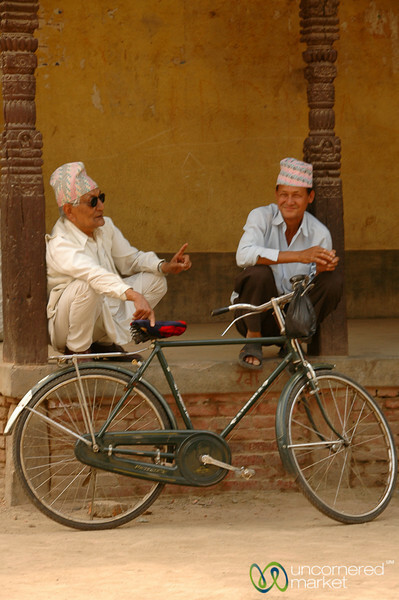 Taken in Patan, Nepal. 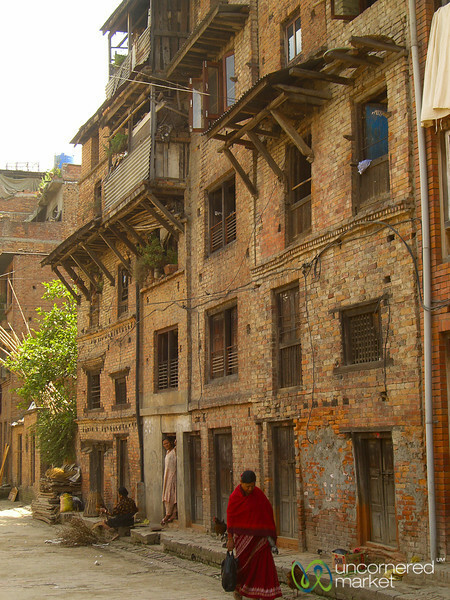 A couple of school kids peek out from a window at us as we walk the streets of Bakhtapur, Nepal. 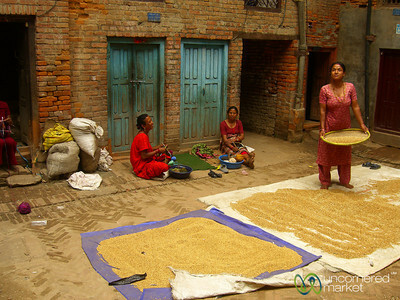 Women dry and sort grain in a courtyard in Bhaktapur, Nepal during the harvest season. 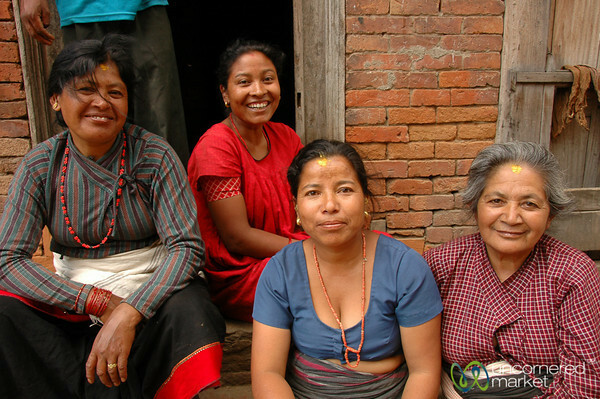 Taking a break from walking around Bhaktapur, Nepal to be still and learn something from these women. 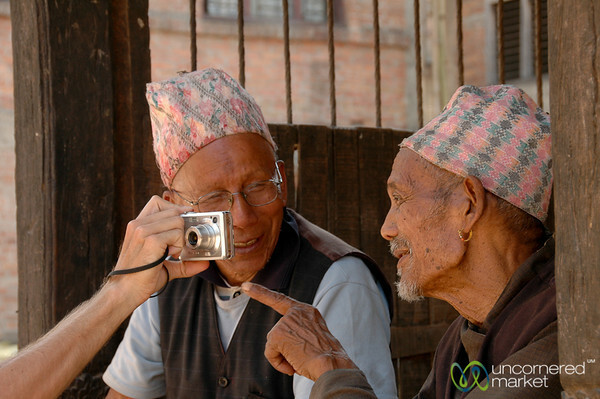 Looks like a couple of old friends chatting together. 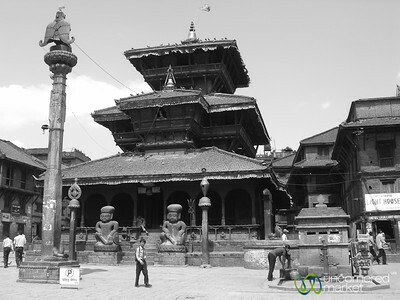 Taken in Patan, Nepal. 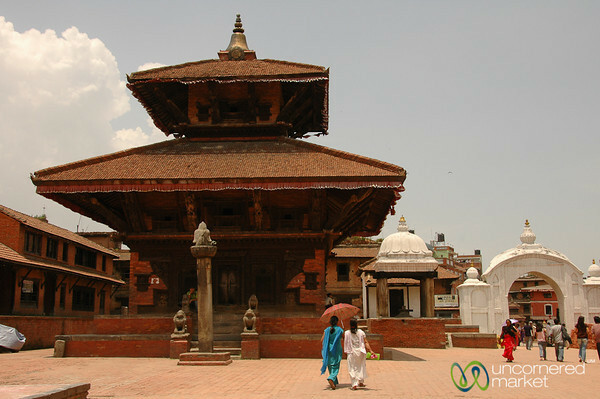 Durbar Square in Patan, Nepal is a great showcase for Newari architecture.